(Bloomberg Opinion) -- Bloomberg Opinion is marking the 40th anniversary of Iran’s Islamic Revolution with a collection of columns from around the world. Forty years ago this week, a broad coalition of Iranian women from across the social and economic spectrum stood shoulder-to-shoulder with men to rid their country of its unpopular, dictatorial Shah. According to the standard Western narrative, the new revolutionary government led by Supreme Leader Ayatollah Ruhollah Khomeini emphasized traditional Islamic values, which required women to give precedence to their roles as mothers and wives over their desire to become judges, entrepreneurs, and bosses. Women were encouraged to dress more modestly; within two years, wearing the veil became compulsory in public places. But this narrative doesn’t take into account Iranian women’s constant struggle against gender discrimination, whether in law or in social mores. It neglects the wide participation of women in Iranian public life, from the labor force, which is about 19 percent female, to the higher echelons of government, where representation is admittedly disproportionately small. Nor does it speak to the resilience of the women’s movement in Iran, and attempts by conservative forces — clerical and political alike — to discredit its cause and destroy its intellectual-activist base. For many Iranian women’s activists, the anniversary has been bittersweet. Since the revolution, many within the movement have become strangers and enemies, with some defending and others opposing the Islamic Republic. And each decade has witnessed the widening in the gap of understanding, shared history, and communication. Nowadays, the dividing line between activists is more generational than ideological. Young women with no direct experience of the revolution, and with little familiarity in the Islamist or Marxist feminist discourse of their forebears, are challenging the authority of the state in ways strikingly different from the post-revolutionary cohort of Azam Taleghani, Mehrangiz Kar, Mahboubeh Abbasgholizadeh, Shahla Sherkat, and the Nobel Peace Prize winner Shirin Ebadi, who now lives in exile. The younger generation’s activism is amplified through social media platforms, like Facebook and Twitter, and messaging apps like Telegram. Take for instance the viral video of the young woman, identified by friends as Vida Movahed, who stood on a utilities box in Tehran, silently protesting compulsory veiling by waving her white scarf on a stick in December 2017. She inspired a wave of copycat protests, which grew into mass demonstrations. Other campaigns take the form of individual acts of defiance, such as wearing white scarves or clothing on Wednesdays; some of the participants post pictures of themselves removing their white veils in public spaces on social media. Vida Mohaved’s singular, iconic act of defiance is a long way from the 100,000 Iranian women pouring into Tehran’s streets on March 8, 1979, in honor of International Women’s Day. Those women weren’t necessarily channeling their dissent through any one issue like mandatory hijab; many were hoping the new government would offer a social justice agenda for all Iranians. They wanted to protect women’s rights — such as the right to divorce and guardianship rights — and the gains made under the previous regime. Yet after the initial demonstrations, the women’s movement separated into various strains and agendas. Many women would go on to work within the system, supporting the Khomeini’s Islamization reforms of educational, familial, and legal sectors. Others remained defiantly anti-regime, denouncing the persecution of political opponents and working within the private sector. By the mid-1980s, women affiliated with the government began attending international women’s conferences, publishing feminist journals and magazines, and entering religious debates with clerics about expanding the role of women in the public sphere. By the late 1990s, under a reformist government eager to foster civil society, women’s rights NGOs and community-based organizations — some run by secularists, others by Islamists — began popping up, visited by academics from Europe and Asia, and funded by international donors. Many of these gains were rolled back in the mid-2000s, by the conservative government of President Mahmoud Ahmedinejad. Women protesting discriminatory legislation by launching sit-ins or signature campaigns were accused of endangering national security. Many NGOs and legal centers for women were forced to shut down. Today, under the Rouhani administration, the landscape of women’s activism appears scarred. Migration and exile have silenced formerly prominent women’s voices. The conflict between secular and Islamist women’s activists has persisted. Efforts to mobilize public support for gender equality through internet campaigns have had mixed results. 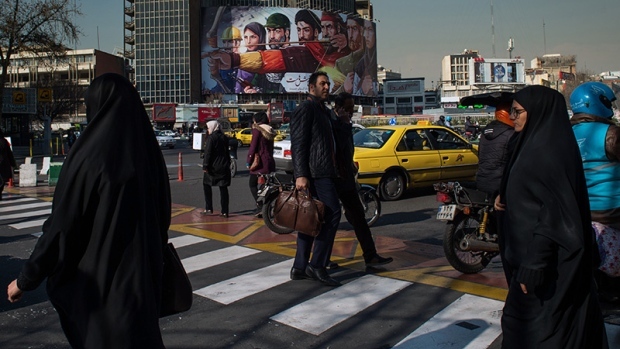 Although more than 53 million Iranians are reportedly mobile-internet users, it has not yet been demonstrated that their exposure to gender-awareness campaigns will lead to wider public pressure on the political and clerical authorities. The obvious risk with social-media campaigns is that they can bounce endlessly around echo chambers of people in the same networks, without leading to change in the real world. There are also serious real-world consequences to virtual campaigning: the harassment, even jailing of activists. But there have been some historic gains: Last summer, after a decade-long lobbying effort by Iranian women’s activists, coupled with international pressure, women were allowed into Tehran’s Azadi Stadium, to watch a broadcast of their home team face Spain in the soccer World Cup. Whatever the outcome of the social-media campaigns, they represent one constant: Iranian women will not be dismissed. Over the past 40 years, their movement has repeatedly displayed the quality of a chrysalis: When stymied by authority, it sheds its skin, and re-emerges anew. K.S. Batmanghelichi is a feminist scholar who serves as associate professor for the study of modern Iran in the Department of Culture Studies and Oriental Languages at the University of Oslo.